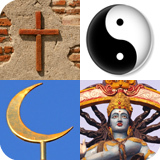 Christianity and World Religions: Is there a relationship between our theology and practice? It is difficult to think of a more important question facing Christianity in the twenty first century than its relationship with world religions. The future of Christianity will depend in part on her ability to engage meaningfully and missionally with the growing religious plurality of our world. We begin, therefore, with a survey of current theologies of religion by Robert Dutch, a staff member of Bristol Baptist College and a postgraduate student at Redcliffe College doing the MA in Intercultural Studies in Asian Contexts. His article provides a useful map for connecting our religious interactions and evangelistic practices with certain theological approaches toward the religions. In assessing the religious beliefs of our neighbours, we need to present careful and responsible treatments rather than caricatures and superficial dismissals. How do we assess religious beliefs that are foreign to Christianity? Using the criteria of scripture, tradition, reason and experience, Rob Cook, Head of Theology at Redcliffe College, offers a critique of the Hindu concept of Reincarnation. While Western theologies are accustomed to engaging with Western philosophies, Christians in Asia are also engaging with Asian religious worldviews. In the next article, Christina Manohar, formerly a Lecturer in Systematic Theology at Union Biblical Seminary, Pune, and currently a Visiting Lecturer on Hinduism at Redcliffe College, develops a Christian understanding of the Spirit in conversation with Upanishad, the Hindu scriptures. Can Christians use non Christian religious sources to develop distinctive Christian theologies? Religious encounters are not purely ‘religious’, nor are they primarily between monolithic religious systems. In “Sheik-ing our Towers of Faith”, Andy Kingston-Smith, Lecturer in Mission at Redcliffe, offers a personal observation of the clash of cultures between the West and Christian culture, and the Middle East (specifically Dubai) and Islam. The combination of articles in this issue, while not exhaustive, should raise many challenging questions, as well as offering some trajectories toward the future of Christianity’s engagement with world religions. Please join the conversation by give us your critiques, comments and questions! Encounters Mission Journal is published online four times a year by Redcliffe College, a UK centre for cross-cultural mission training. Encounters is an online mission journal published twice a year. your email address to follow this journal and receive notifications of new articles by email. 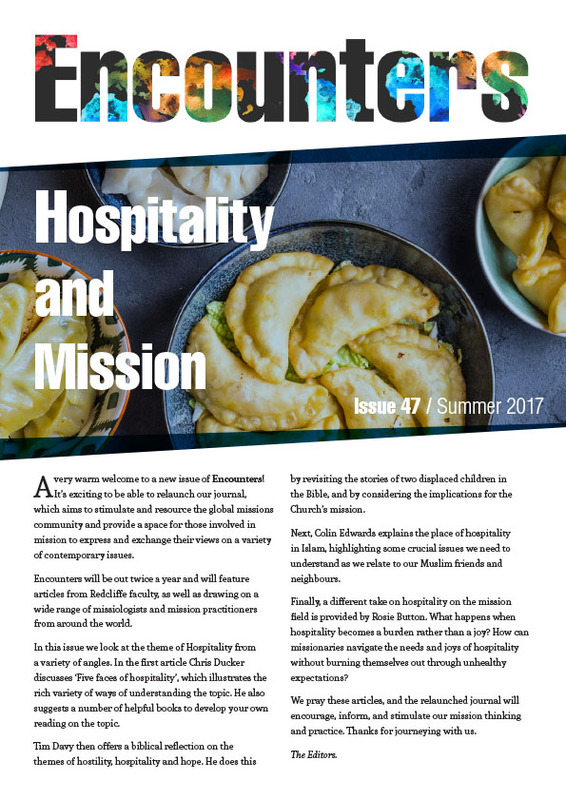 Encounters is an online mission journal published twice a year by Redcliffe College. Enter your email address to follow this blog and receive notifications of new articles by email.